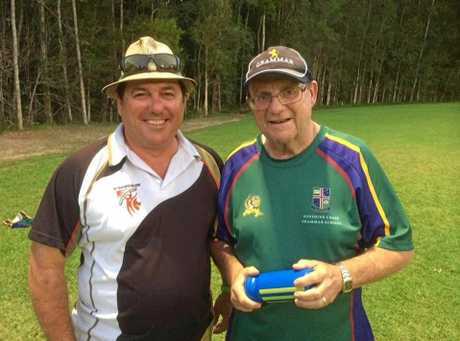 OLYMPIANS, students, family and friends have been left to mourn the death of a giant-hearted man after popular Sunshine Coast school teacher Dave Glassock lost his battle with cancer. The St Teresa's Catholic College teacher, a father-of-five, passed away last night, sparking an outpouring of tributes for a man who was more of a father figure to many. Olympic water polo player Billy Miller was mentored by Mr Glassock at a state and national schoolboy level, and he spoke of the enormous love held for Mr Glassock by many. "Glassock was the type of person, the mentor he was, you'd kind of bump into him on the weekend... and you'd be stuck talking to him for an hour or two. Not because he had so much to say, because you were so willing to give him the time. "He was always there, through the good times and the bad. "He knew everyone and anyone and he always tried to point you in the right direction. It's the type of thing you'd expect from a father." St Teresa's college principal David McInnes paid tribute to a former colleague who left his mark on the school. "The community of St Teresa's Catholic College, Noosaville today mourn the passing of a great teacher and a great man," college principal David McInnes said. "Dave was greatly respected by staff, students and parents for his passion for education, his faith, warm-heartedness and tenacity." Mr Glassock was a giant of the Coast rugby scene and former head of sport at Immanuel Lutheran College. He was heavily involved in the community as a volunteer, coach and committee member at Noosa Heads Surf Lifesaving Club, Noosa Dolphins Rugby Union Club and the Sunshine Coast Water Polo Association. Tributes have poured in for the 54-year-old who was always generous with his time and had a profound impact on the lives of many he came into contact with. Olympian Alyce Burnett was among those who took to social media overnight and this morning to pay tribute to Mr Glassock. "Words cannot begin to describe you Dave Glassock," she wrote. "A true legend in every sense of the word. Without your belief, guidance and support over the years, so many of us wouldn't be where we are today, including myself. Gone but never forgotten. Rest easy." James Lester was one lucky enough to learn under Mr Glassock's tutelage, having been coached by Mr Glassock as a junior in water polo. He told the Daily he and his former teammates "progressed so much further playing polo than we would have without him" and said there were many people indebted to Mr Glassock for his generosity and the time he invested in others. "(Dave) gave up countless hours to everyone and never minded, he was a truly great bloke... so many kids owe so much to him," Mr Lester said, adding Mr Glassock was always good for a laugh. Former students and players who were taught or coached by Mr Glassock also gave insight into how powerful his presence was as a mentor. "Rip Dave Glassock I wouldn't be the man I am today if it wasn't (for) you," Kane Finzel wrote. "Lost for words hearing the news Dave Glassock. Very thankful I got to grow up knowing you. Rest in peace legend," Andrew Parry wrote. Olympian Miller spoke of Mr Glassock's selflessness, saying you always felt when speaking with him that his sole desire was to see his students or sportspeople better themselves. "You knew he was never trying to get anything out of it for himself," Miller told the Daily this morning. Miller said one of Mr Glassock's greatest qualities was his ability to connect with people of all ages, which made him such a well-loved character. "He still left an impact with Gen-Y and Gen-X," Miller said. 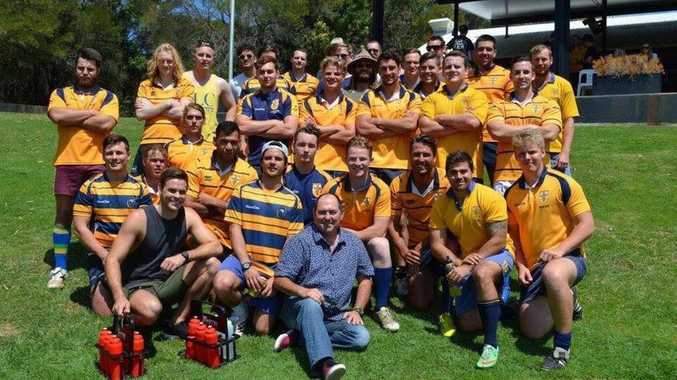 Sunshine Coast Rugby Union also posted a touching tribute to the man. "A champion of the game, Dave worked tirelessly with school and club teams helping to grow the game. 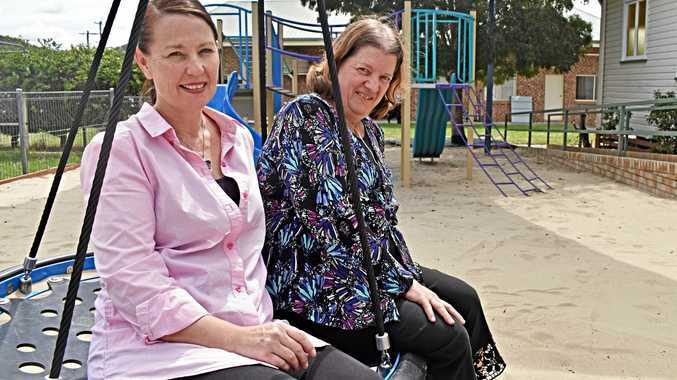 A fantastic role model for boys and girls from all over the Sunshine Coast. You will be sorely missed," the tribute read. Mr McInnes said Mr Glassock's legacy would linger long at the school. "Dave Glassock is an integral part of the history of St Teresa's having held positions of Middle Leadership as Year 10 and Year 11 Coordinator and Sports Coordinator," he said. "Epitomising the family spirit of the College, Dave looked after and had time for all. Nothing was too much trouble for Mr. Glassock! "Our prayers and thoughts remain with his wife, and our colleague, Jenny, and their children Archie, Darcy, Maggie, Harry and Joey who remain part of the St Teresa's family."